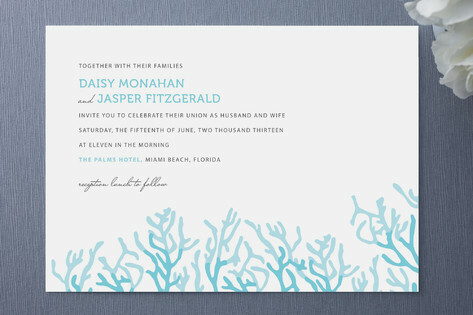 Coral reef illustration details are just the thing for a beach or tropical destination wedding. The modern typography and stylized imagery set a tone that's upscale and breezy. Available colors include Aqua Blue (shown) and Coral.